Already added in April 2018, this gives us the ability to add the Home and News pages from our SharePoint Pages. The previous SharePoint Tab only added document libraries. Keep in mind that it only adds from the SharePoint site that sits behind your Microsoft Team. 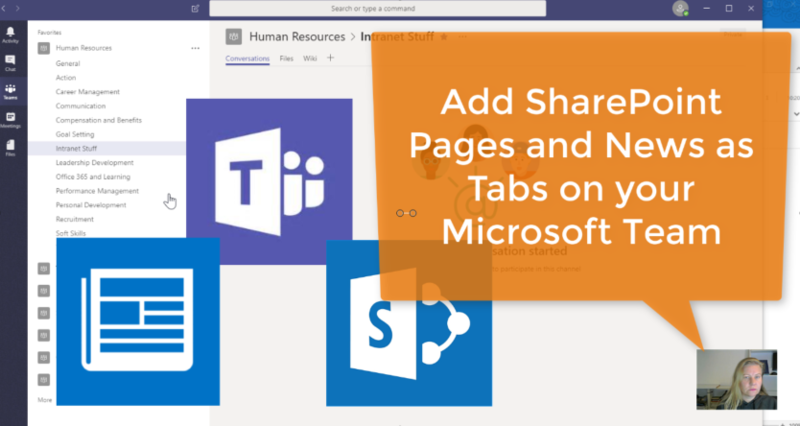 I do however show you how to add News from other SharePoint Sites.